Is coffee good for you? Yes! After water, coffee is the most commonly consumed beverage worldwide. And, mounting research suggests that the antioxidant-rich pick-me-up may help reduce the risk of chronic diseases, help boost one’s mood and may actually help you live longer. In fact, the new Dietary Guidelines for Americans say that you can enjoy up to five cups of coffee a day—and that it may help reduce the risk of type 2 diabetes, cardiovascular disease, Parkinson’s disease and much more. The health benefits of coffee come from its caffeine content as well as its natural antioxidants. In fact, coffee and tea provide more antioxidants in the U.S. diet than any other plant-based foods. 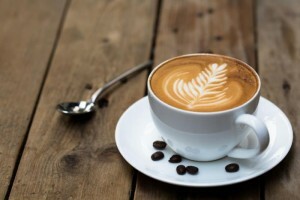 Research reported in the Journal of Nutrition found that among nearly 5,000 U.S. women, those who drank the most coffee had longer telomere length. Telomeres help keep our DNA healthy and the longer they are, the healthier our DNA and cells remain. Longer telomeres are also associated with longer lives. No association was found between intake of decaffeinated coffee and depression risk. The authors did look at other sources of caffeine, such as tea, chocolate and soda, but did not find an association between these caffeine sources and reduced risk. According to the researcher, coffee is a well-known stimulant, which improves mood, performance and attention. For the healthiest cup, avoid high-calorie gourmet coffee drinks and opt for regular coffee without added sweetener or whipped cream. It’s fine to use some whole milk or cream. If you’re looking for a new coffee maker but aren’t sure which is best, check out this great review of drip coffee makers? Studies show that drinking coffee has potential health benefits includes protecting against type 2 diabetes, Parkinson’s disease, liver disease, liver cancer, and promoting a healthy heart.